Joann Kramer, age 84, of Strasburg PA, peacefully passed away at her home from cancer on the first day of Spring, March 20, 2018. She successfully fought several battles against cancer. She was born in Mount Joy Pa to Russell B. Kramer and Ella Lyle Kramer. She never married, and was an only child. Joann was a loyal friend. Joann graduated from West Chester State Teacher’s College (now West Chester University) in 1955. Immediately after graduation she taught at Pequea Valley High School until she retired in 1993. She taught health & physical education and coached field hockey & girl’s basketball during her 38 years at Pequea Valley. Joann loved showing her dogs and horses, and took many trips to Canada to show her Labs. She had many dogs as companions, as well as cats. She also enjoyed trail riding. She belonged to a camping group, and one of her most memorable trips was camping for a month in Alaska. Joann also obtained her pilot license, and proudly took her first solo flight on February 17, 1968. After Joann’s retirement, she took up golf, and continued to ride her horses, Molly & April. 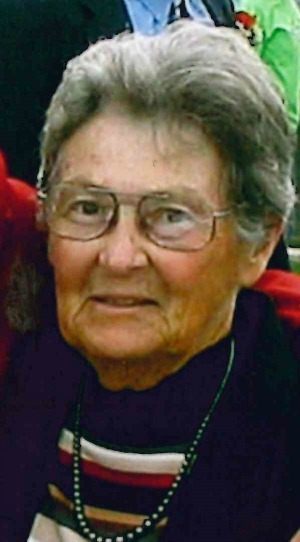 She played golf weekly with her club at Tanglewood Manor Golf Course, and enjoyed her trips to Myrtle Beach SC to golf. Friends are invited to attend a Memorial Service at DeBord Snyder Funeral Home, 141 East Orange St, Lancaster Pa, 17602, at 11am on Saturday, March 31, 2018. Friends may greet from 10am until the time of the service. Contributions may be made in Joann’s memory to the American Cancer Society or Pennsylvania SPCA Lancaster Center. I have many fond memories of Ms. Kramer during my time with her at PVHS and having her as a coach for softball as a kid. She was very patient with us rowdy girls and often stood with hands on hips and a grimace on her face, but never a harsh word. She was always instructing with care. That’s a characteristic I later learned that’s not always portrayed by some teachers or coaches. This was a strength she portrayed in her care of, training, and showing of her dogs as well. She may never have had children of her own, but throughout her 38 years of teaching she had lots of children who loved her; she was an influence to many. My thoughts and prayers to her family. I was a student of hers at PVHS. RIP Ms. Kramer. I remember Ms Kramer’s g class It was fun to clearly learn field hockey and soccer. She was a woman of few words, and none of them seemed angry. She was kind. JoAnn was my gym teacher for all six years @ Pequea Valley and my hockey coach for three years. I remember her fondly. So sorry for your loss! In 1958, I began teaching and one of the first things I bought was a Cushman Motor Scooter which I enjoyed for a year or two.. When I sold it, guess who bought it?? Joanne Kramer! I am about 2 yrs younger than Joann and had never met her before but I never forgot her and how nice she was. I hope she enjoyed the scooter but probably not as much as riding her horses. I wish I’d have known her better.. RIP, Joann. R I P Miss Kramer. You coached me in hockey until my appendicitis, then you shared your patience & determination with us on the basketball court. Thanx for your love of education. From the rings in the gym to the hockey sticks on the field, you helped to make those six years at PVHS a little more team spirited. With my deepest sympathy. I have know Joann most of my life. She used to board her horses on my families farm when I was a young girl. Then I had her as a teacher in school. I am sorry for your loss of Joann. May you find comfort in the precious memories you shared together, as well as God’s promise to restore our dear loved ones to perfect life on a paradise earth. As you contemplate that promise, draw close to God in prayer and he will draw close to you and provide the needed strength to carry you through the days ahead. All the best wishes for your family at this time, take care.